After a successful inaugural edition of the Baltic Cup in the Estonian resort of Parnu, the rights to host the event in 2016 were awarded to Liepaja in Latvia. The Baltic Cup is a tournament organized by NGO Esto Maxibasket (Estonia), BK Vecmeistari (Latvia), Lithuanian Veterans Basketball League (Lithuania) and the European Seniors Basketball Association. In 2016, the tournament will be held in Liepaja at the Liepaja Olympic Center (39 Brivibas Street, LV-3401) on 2-3 September. Situated on the coast of the Baltic Sea, the resort offers not only top level sports infrastructure, but also a variety of recreation and entertainment options. The right to participate in Baltic Cup 2016 belongs to the national champions of the three Baltic countries in the 2015-16 season. If a champion waives its rights to participate, the rights are then awarded to the runners-up. The biggest change from last year’s tournament will be the wildcard* system, which provides a possibility for teams from other countries along the Baltic Sea shoreline (Denmark, Finland, Germany, Poland, Sweden and Russia) to participate. 2-team format: Teams play each other twice on Friday and Saturday. 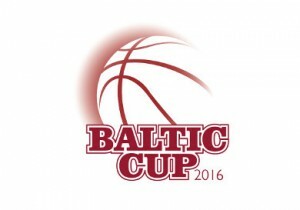 To follow us in the new website of Baltic CUP 2016! 4) If there are no candidates from other countries, a second team from the host country is acceptable. 5) If any of the teams from Estonia, Latvia or Lithuania refuses to participate, an additional wildcard will be available.